On February 19, the DEP Citizens Advisory Council will hear presentations on the Appalachian Regional Reforestation Initiative and DEP’s Small Business Ombudsman Program. Laura Bray, PA Environmental Council Program Manager, and Eric Oliver from DEP will provide an overview of the Appalachian Regional Reforestation Initiative which is designed to plan high-value hardwood trees, including American Chestnut trees, on reclaimed coal mined lands in Appalachia. 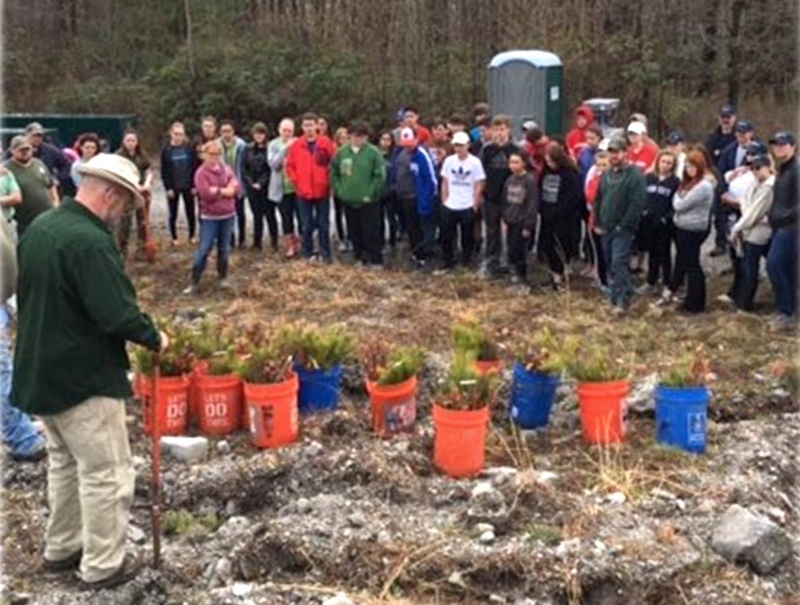 Over 3 years, PEC and its partners have planted over 22,000 seedlings on 26 aces of State Forest land with an additional 65 acres in the planning for 2019. Throughout Appalachia 3,339 acres of mine lands have been planted with 2,091,631 seedlings. Tree plantings this year are scheduled for April 20 in the Weiser State Forest and May 4 in the Moshannon State Forest. Click Here for a copy of the presentation. Ed Boito, DEP’s Small Business Ombudsman, will provide an overview of his program which acts as an advocate for small business within the agency. The program includes a Small Business Compliance Advisory Committee to review regulations having an impact on small businesses, the Small Business Compliance Assistance Program and dispute resolution services. Click Here for a copy of the presentation. Also available is a copy of the written monthly report DEP submits to the Council on agency activities and actions. The meeting will be held in Room 105 of the Rachel Carson Building in Harrisburg starting at 10:00. A conference call option is available: Toll Free #: 267-332-8737, Conference ID#: 52478877. For more information, visit DEP’s Citizens Advisory Council webpage or contact Keith Calador, Executive Director, 717-787-8171 or send email to: ksalador@pa.gov.